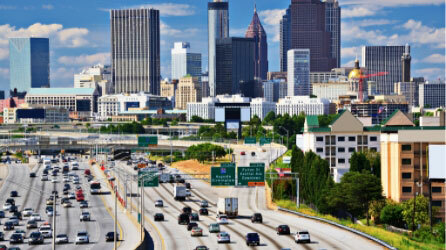 Explore the Wonders of Atlanta! Get your Christmas shopping done early this year! The Green Market at Piedmont Park is known for offering delicious food each Saturday, and in November, they expand the options to include arts and crafts. Come and check out what local vendors have to offer. You might find the perfect gift ideas for your friends and family! Dig out that old sweater from the back of your closet and join the excitement at the Ugly Sweater Run! This annual event comes to Piedmont Park each December and brings hundreds of runners together in delightfully hideous attire. From the starting line to the after-party, there’s no shortage of holiday cheer. There are games, seasonal tunes, and light-hearted competitions. Do you have what it takes to win Best Ugly Sweater this year? Are you ready for another incredible event in Midtown Atlanta? For only $15, you can take your spot among foodies and beer lovers as they make their way through the Pub Crawl on the BeltLine. Your ticket gives you access to five complimentary drinks as well as exclusive specials at participating bars and restaurants. The route runs along the East Side Trail of the Atlanta BeltLine, from Inman Park to Piedmont Park. After filling up on food, beer, and excitement, you can burn off those extra calories with a relaxing walk through the Park. From Thanksgiving weekend until President’s Day, you’re welcome to lace up your skates and glide along the Piedmont Park ice rink. Park Tavern unveils this indoor winter wonderland each year, and it’s open seven days a week for all to enjoy. When you’re not doing laps, you can grab a holiday-themed drink from the bar and marvel at the twinkling lights on the nearby Christmas tree. Tip: For a quieter, more romantic environment for your next date, consider skating after 8:30 p.m. when the rink becomes a 16+ venue. Since the Atlanta Botanical Gardens are next to Piedmont Park, it’s like getting two beautiful attractions in one. Starting in mid-November, the evening sky above the Gardens gets a little brighter. Their Garden Lights, Holiday Nights celebration combines nature’s beauty with colorful illumination to create a magical atmosphere for the holidays. You can stroll through the park, snap a picture in front of the Curtain of Lights, and grab a bite at the Longleaf Restaurant. It’s even open on Christmas Eve! Enjoy the Elegance of Stonehurst Place Just a Short Walk Away! Do you want to know the best part about spending Christmas in Piedmont Park? Stonehurst Place is only a five-minute walk away! After enjoying any of these festive activities, you can return to our bed and breakfast and rest your legs in an elegantly designed room. Then, wake up to a gourmet, three-course breakfast and explore even more fun things to do in Midtown! 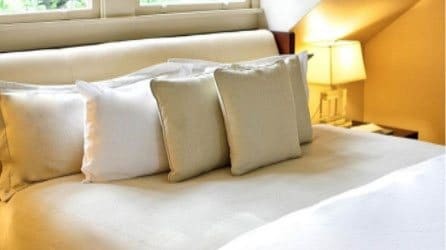 Consider our Hinman Suite for the ultimate holiday getaway in Atlanta. The accommodations inside are fit for royalty, and you’re welcome to visit Stonehurst Place and enjoy them for yourself. Relax by the fireplace after a day in the park, wrap yourself in luxury linens in your king-size bed, and marvel at the original artwork on the walls. Lodging can make or break your vacation. Choose Stonehurst Place and ensure your stay is perfect from start to finish!